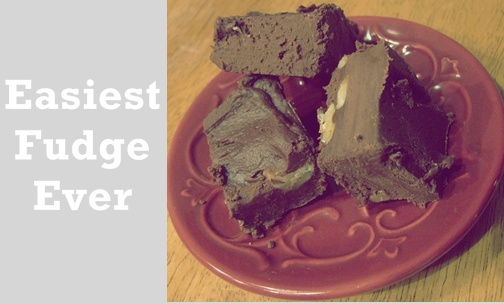 Vintage Gwen: Easiest Fudge Ever! Sharing one of my favorite Holiday Recipes for Monday's Special Christmas Soiree theme today. Can't wait to see what you'll be sharing!! A friend shared this recipe with me a couple years ago and I loved how easy it was! And you can also change it up a bit and make different flavor combinations. One tub of prepared icing. One package of chocolate chips. Melt chips in microwave for one minute. Then cook at 30 second increments till melted. Add tub of icing, stir. Spread in a lightly buttered square baking dish. Chill in fridge for about 30 minutes to set. Praying you and yours have the best Thanksgiving ever!! And since it's Thanksgiving and I'm cooking/baking all day today, shopping with my sis tomorrow and going to the in laws overnight I'm taking a break! Yep you read that right....deals! There will be 9 fabulous products available at one time at amazing prices! There will be a flat shipping rate on all products all day....$3.95. Buy one or one hundred, shipping is $3.95! the deals will be posted at 6am (MST) so set your clocks!! And I would love it if you used my link to Pick Your Plum since I'm an affiliate! HERE or in my side bar! Wow thanks Jen that wa super easy and sounds amazing! God bless you always!!!! Let your light shine and thanks for everything! Happy ThanksgivIng! This sounds AWESOME Jen, thanks for sharing.. :)) Hope you had an amazing thanksgiving.. xoxoxo..
Wow! Thank you for this! This is exactly what I'm looking for for Christmas! New follower. Looks so AMAZING!!! I want some fudge now!